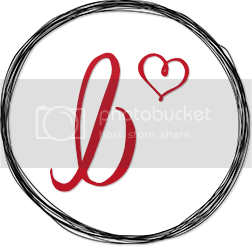 Extra Special Teaching: Classroom Theme (freebie) and Back to School Sale! 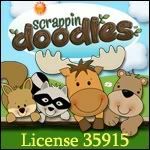 Classroom Theme (freebie) and Back to School Sale! Back in July, I posted pictures of my class for last year and said I was going to decorate in a Blue/Green theme. You can check those pics out here and see one the Blue and Green Alphabet Cards I made by clicking here. Well the more I've thought about it, the more I've decided I wanted to do a different color scheme. I don't really want to be stuck with just blue and green, so I've made some new stuff in a new Bright Colors theme. 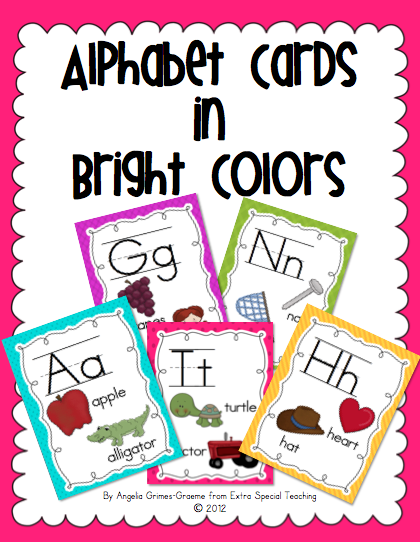 First, I've redone the Alphabet Cards in Bright Colors. Click on the picture to check them out. 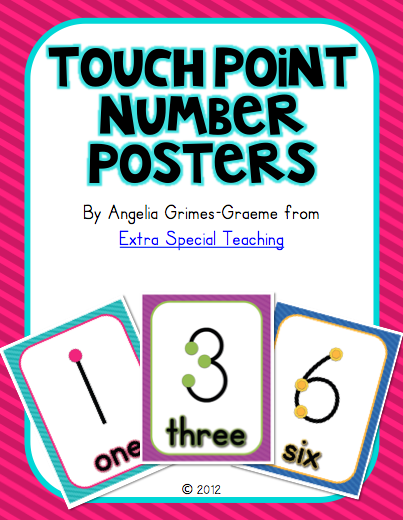 Then I decided that my Touch Point Number Posters were boring! So I redid them and you can click on the pic to check them out. And after I got done with that, I decided I needed new name tags for desks. The last 2 years, I've name tags that had a lot of "stuff" on them. 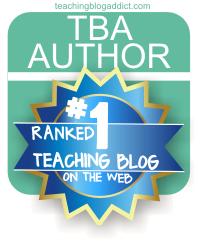 I've felt like my students just didn't utilize them the way that I hoped. They really only utilized them to help remember which way to write the letters 'b' and 'd'. So for this year, I'm just going to have their names and the alphabet line. Maybe next year, I'll do something else. 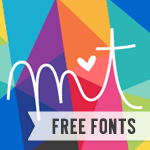 I'm giving these away as a FREEBIE to you guys! 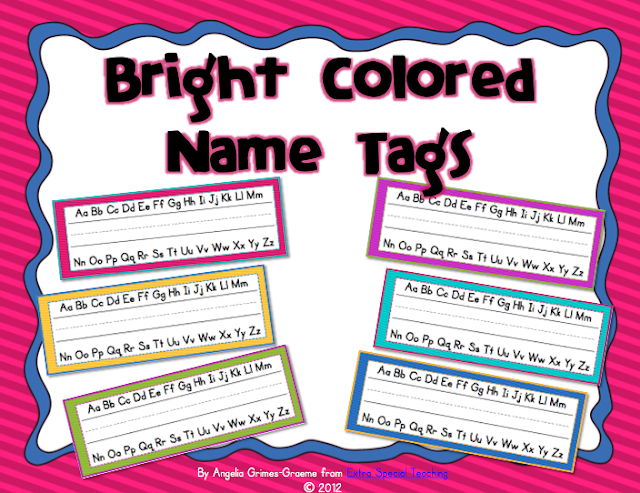 Click on the picture to get your freebie name tags! 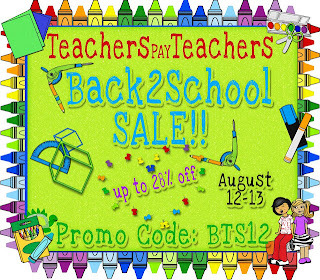 Finally, Teachers Pay Teachers is having a HUGE Back-to-School sale on August 12th & 13th!!! 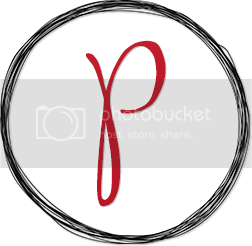 Everything on TPT will be 10% off if you use the Promo Code BTS12, and I'm offering an additional 20% off for a total savings of 28% off! So use this weekend to fill up your wish lists with all the great things you need to start your year off right! 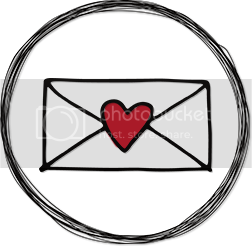 Click on the picture to check out my store. 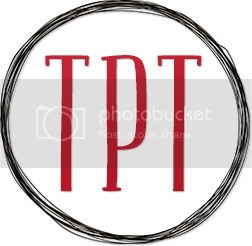 A lot of other TPT sellers are giving 5%, 10%, 15%, 20% off as well so shop around! 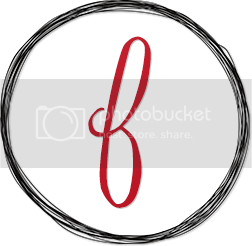 Just wanted to let you know that I just posted about your awesome Alphabet Cards! I love them!